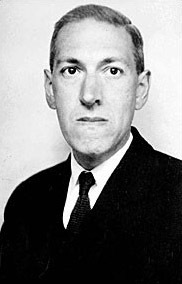 In the now fashionable area of Brooklyn Heights where dodging oncoming strollers is the sport of pedestrians lies a first floor studio apartment where horror author HP Lovecraft lost his mind. 169 Clinton Street, on the corner of Clinton and State in Brooklyn, New York to be percise. Lovecraft, best known for his “Cthulu Mythos” lived there for several years in the mid 1920’s. What we now call Brooklyn Heights– then part of a larger neighborhood called Red Hook– was the first suburb in the United States and a frequent residential destination for immigrants. Lovecraft, desperate for any work took his frustration out on every race, creed, and color including his own. As what happens with many people who move to New York from elsewhere he felt more alone than ever. Even though he was surrounded by millions of people. Lovecraft would later return to his native Providence, Rhode Island but the one thing he left here in Brooklyn was part of his sanity.